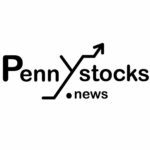 Vancouver, BC — October 2, 2018 — InvestorsHub NewsWire — MGX Minerals Inc. (“MGX” or the “Company”) (CSE: XMG / OTCQB: MGXMF / FSE: 1MG) is pleased to report that engineering subsidiary PurLucid Treatment Solutions (“PurLucid”) is shipping the first petrolithium and advanced wastewater treatment system on Monday, October 8th. The commercial-scale 750 barrel per day (bpd) system will be delivered to a centralized treatment and processing facility north of Edmonton and proximate to the Alberta oilsands. Installation of the plant will take approximately three weeks to complete.